Victoria Reins is the owner and artist in residence at Ciolim Gallery. Victoria was born in Michigan and took an interest in painting as a child. She has been painting seriously for 35 years after studying art in Florida in the late 1980’s. Her studies carried over into Arizona when she and her husband moved and she settled on the Scottsdale Artists School for classes. 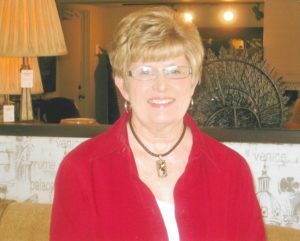 After serving on the board and teaching with Jane Wingfield she began teaching in the greater Phoenix area. Her work has appeared in the Western Art Collection and she has exhibited in major museum shows throughout the country. Influenced by the Southwest culture, she decided to make art a full time career and recently opened Ciolim Gallery, bringing in the finest instructors to teach. About six years ago she decided to expand her southwest work to include a very successful exhibit of contemporary flowers which are shown exclusively at Ciolim.